Why is PFAS in the news? What is a part per trillon (ppt) equivalent to? Why is PFAS an issue in Southeastern Pennsylvania? What is Aqua doing to address the issue? What would happen if any of Aqua’s water sources tested higher than the EPA’s health advisory level? Can I use any home devices to remove PFAS? What are the health implications of PFAS exposure? 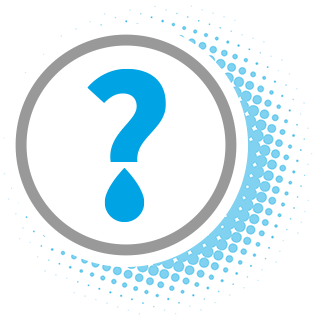 Is there a requirement for water providers to test for PFAS on a weekly or monthly basis? How quickly does Aqua Pennsylvania obtain results from the time the Company initiates testing? I have a question that wasn’t answered on this website. What should I do? Perfluorochemicals are a family of manmade chemicals that have been used for decades as an ingredient to make products that resist heat, oil, stains, grease and water, and are extremely resistant to breakdown in the environment. Common uses include: 1) nonstick cookware, stain-resistant carpets and fabrics, 2) coatings on some food packaging—especially microwave popcorn bags and fast food wrappers, 3) firefighting foam, and 4) many industrial applications. PFOA and PFOS are fluorinated organic chemicals that are part of a larger group of chemicals referred to as perfluoroalkyl substances (PFASs). PFOA and PFOS have been the most extensively produced and studied of these chemicals. They have been used to make carpets, clothing, fabrics for furniture, paper packaging for food and other materials (e.g., cookware) that are resistant to water, grease or stains. They are also used for firefighting at air fields and in a number of industrial processes. Yes. The water provided by Aqua tests well below the current U.S. Environmental Protection Agency (EPA) health advisory levels for PFOA/PFOS and is safe to drink. Testing to date has not detected levels over the EPA Health Advisory of 70 parts per trillion at active sources. Both the EPA and Pennsylvania Department of Environmental Protection (DEP) consider this level protective of public health. In Pennsylvania, the EPA and PA DEP set and regulate water standards. The EPA identifies the contaminants to regulate in drinking water, and they set regulatory limits for amounts of certain contaminants. The EPA currently regulates 90 chemicals in drinking water with “limits” called maximum contaminant levels (MCLs). Aqua uses the EPA’s maximum contaminant levels to ensure water quality. There are some contaminants for which the EPA develops health advisories that do not have set regulatory limits. The health advisories provide technical information on health effects. PFAS are included in those contaminants that have no regulatory limit but are associated with a health advisory. In recent years, the presence of two contaminants – Perfluorooctanoic acid (PFOA) and Perfluorooctanesulfonic acid (PFOS), known together as PFAS – in drinking water supplies has become a concern across the country and around the world. PFAS is of particular concern in areas of eastern Montgomery and Bucks counties, Pa., where groundwater contamination from PFAS is believed to originate from nearby military bases. The EPA has jurisdiction over setting health advisory levels for water contaminants in the U.S., including PFAS. The EPA’s current health advisory level is 70 parts per trillion for both contaminants, combined, as set in May 2016. Since 2016, there has been ongoing public concern and pressure in impacted communities to further reduce the presence of PFAS in public drinking water sources below the current EPA health advisory level. As a result, the EPA is holding public sessions in impacted communities across the country to hear directly from the public and other stakeholders about how to best help communities facing this issue. The intelligence gathered through these sessions and other methods will help to inform the EPA’s PFAS management plan, slated for release in the Fall of 2018. One part per trillion is the equivalent of one grain of sand in an Olympic-size swimming pool. The EPA’s lifetime health advisory sets a combined limit of 70 parts per trillion for PFOA and PFOS. It is believed that groundwater in certain areas of eastern Montgomery County have been contaminated with PFOA and PFOS as a result of previous firefighting activity at nearby military bases. The water Aqua provides to customers in this area is a blend of multiple sources of treated groundwater and surface water. Continually evaluating alternative treatment options, including ion exchange resins and other technologies. Being proactive participants surrounding this issue on the national level, participating in the May 2018 National Leadership Summit by the EPA on PFAS. Adjusting or removing sources of supply. Developing this action plan for all sources is ongoing and may take some time due in part to the regional and interconnected nature of our systems, which require coordination with various local, state and federal stakeholders. As an industry leader, Aqua remains steadfast in its commitment to addressing this issue and we look forward to the EPA and DEP issuing a rule that will help further guide our actions. If levels above the current HAL are detected, our customers, the EPA, and the PA DEP will be immediately notified of the results and of our planned remedial actions. EPA’s current health advisory levels were calculated to offer a margin of protection against adverse health effects to the most sensitive populations: fetuses during pregnancy and breastfed infants. The health advisory levels are calculated based on the drinking water intake of lactating women, who drink more water than other people and can pass these chemicals along to nursing infants through breastmilk. The levels were also based upon the exposure to the chemical for 70 years drinking 2 liters (8 glasses) of drinking water per day. It also assumes 20 percent of the individual exposure to PFAS comes from drinking water and 80 percent comes from home and environmental (non-drinking water) exposures. Global public health organization NSF International has developed a test method and protocol to verify a water treatment device’s ability to reduce perfluorooctanoic acid (PFOA) and perfluorooctane sulfonate (PFOS) to below the health advisory levels set by the U.S. Environmental Protection Agency (EPA). (Click on “reduction devices” at the bottom of the page for PFOS and PFOA). We encourage customers with health concerns or questions to contact the Centers for Disease Control (CDC) for information relating to PFAS exposure. No, there is no current requirement for testing for the presence of PFAS on a weekly or monthly basis. Since PFAS are not regulated, there is no requirement by the U.S. EPA or Pennsylvania Department of Environmental Protection to monitor for these contaminants. The only monitoring that occurred was required between 2013 and 2015 by the U.S. EPA as part of a national research effort called UCMR3. Since then, following findings of high concentrations of PFAS in the general area of the naval air station near Horsham, Aqua Pennsylvania voluntarily decided to proactively test for the presence of PFOS/A in our water sources in eastern Montgomery County. This decision was intended to ensure the results remain below the U.S. EPA’s health advisory level. Aqua routinely updates its findings and shares them here so customers can stay informed. It varies, but under ideal circumstances, we have results to our experts for review as soon as two weeks from sampling. However, our laboratory does large volumes of testing that is required by environmental agencies for our day-to-day operations, which can impact our schedule for PFOS/A testing and posting to our website. For comparison, outside laboratories have taken up to two months to get us results. We know communities are eager to get these results sooner, and so we’ve invested in the capability to conduct these tests in-house, which lets us get the information to you sooner. If you have additional questions or concerns, please feel free to contact Aqua at 877.987.2728 or email us at custservreply@AquaAmerica.com.